Farmer Margie just got back from dropping off 30 bushels of her certified organic Donnie avocados at the area Whole Foods warehouse. Look for her fruit in South Florida stores starting this Thursday. If you don’t see them, ask the produce manager to get them for you. Here’s a picture of a Donnie that I got at last Saturday’s fruit sale. I can hardly wait to sink my teeth into it! These are mild and creamy and I can only eat half at a time. This particular fruit weighs one and a half pounds, but by the end of the season, they will grow to 3 to 4 pounds! Margie also dropped off certified organic lychees that are Certified Naturally Grown by Mario Yanez, which will also be in Whole Foods this week. His lychees are plump and sweet and juicy. 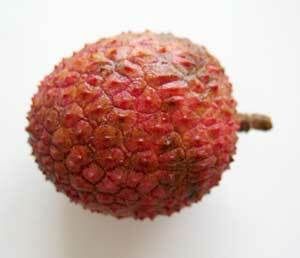 It’s getting toward the end of lychee season, so get them while you can because there aren’t going to be any more. That’s good news. Do you know if it will be at the Coral Gables Whole Foods only? Nice meeting you at the summit, by the way. Nice meeting you too, finally! We’ve been crossing paths for months! Go to the store tomorrow and look, and ask for the avocados and lychees. Don’t know which stores or at what prices. As I understand it (and I could be wrong), produce managers from individual stores can order as much or as little as they want from the area warehouse to put in their stores. 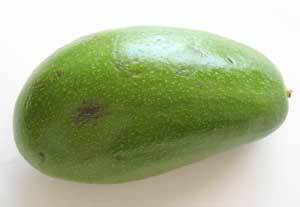 But they need to move quickly, as the avos will be quite ripe in a few days! Please note: Organic lychees were available last week from our certified organic Green Groves parcel.THat harvest is finished. The lychees delivered this week from Mario are NOT certified organic. They are ‘Certified Naturally Grown’, a peer-review, grassroots label applied to crops that are grown using organic methods, but with no legal definition or standard. I did not have time to get my Longons certified organic but they are. Have twenty two huge trees full. Trying to find how to sell these. Let me know if anyone knows of the interest with the Longons. Unfortunately, if they are not certified, you cannot market them for resale as organic, EVEN if they meet all the criteria. If you’re interested in getting certified, you need to start at least 6 months beforehand, so your application can be processed and the necessary inspection, etc can be completed prior to having a crop. 22 full trees is a pretty big crop. If the individual fruits are big (quarter-sized), you should be able to sell them fairly easily. I’d recommend contacting a local packinghouse ASAP to move the fruit. Good luck!